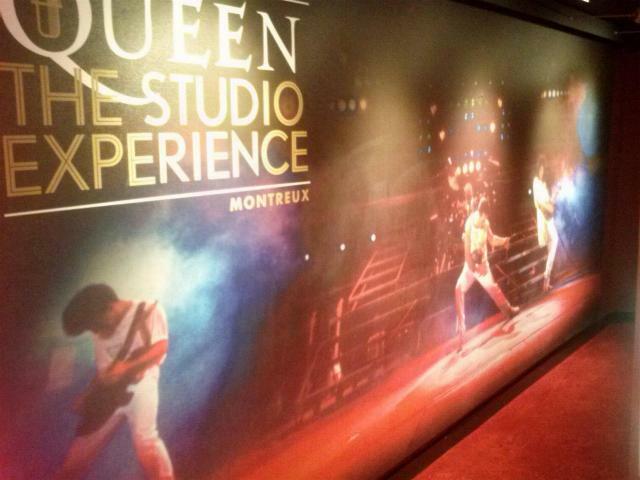 'The Studio Experience' is an exhibition housed in the Casino Barrière de Montreux, the original home of Mountain Studios, and is presented by the Mercury Phoenix Trust and the casino's charitable foundation. 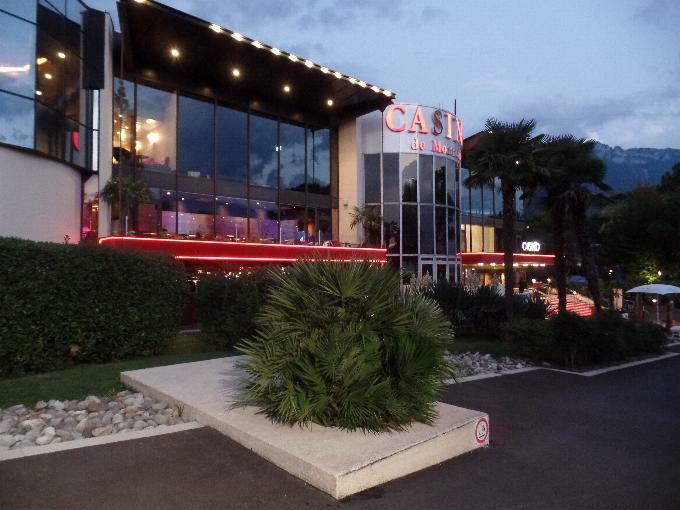 The casino is located on Rue de Theatre, Montreux, Switzerland, and can be seen on Google maps here and on streetview here. It is a short walk from the Freddie Mercury Statue on the banks of Lake Geneva. The exhibition was opened by Brian and Roger on 2 December 2013 (World AIDS Day) and opened to the public on 3 December. The exhibition is free, with donations requested for the Mercury Phoenix Trust. The exhibition was curated by archivist Greg Brooks, and designed by Marmalade London, the team behind the 'Stormtroopers In Stilettos' exhibition. 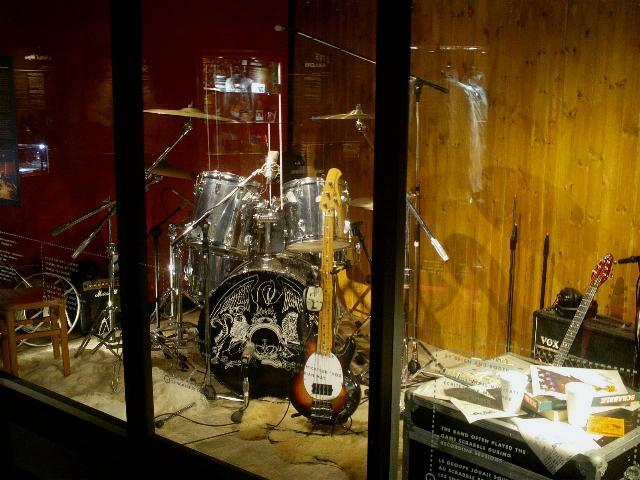 More information can be found at the exhibition's website, http://www.mercuryphoenixtrust.com/studioexperience/. I visited the exhibition several times in September 2014, 2015 and 2016, and the descriptions and photographs below are all from those visits. Photographs of the various memorabilia cabinets have their own pages here and here. Sadly, while I recorded various elements of 'Made In Heaven', none of these came out in sufficient quality to upload. The casino has two floors, and the Queen Studio Experience is based on the upper floor, which is at street level from the Rue de Theatre. 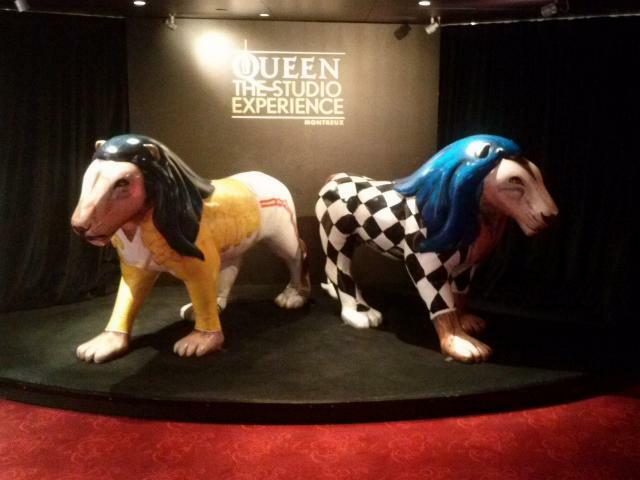 Within the casino, by the entrance to the exhibition, there are a number of Queen related items, the main one being two Freddie Lions, which were originally displayed in Cape Town in 2013. 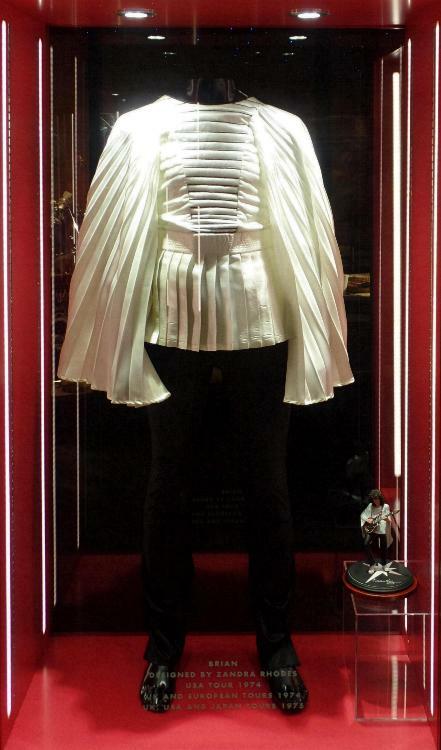 There is also a 'Flash Gordon' themed pinball machine, a restaurant menu, with most dishes named after Queen and Freddie songs, a timeline showing Queen's history, and a video display, which includes an interview with Justin Shirley-Smith about the history of the studios and the exhibition. 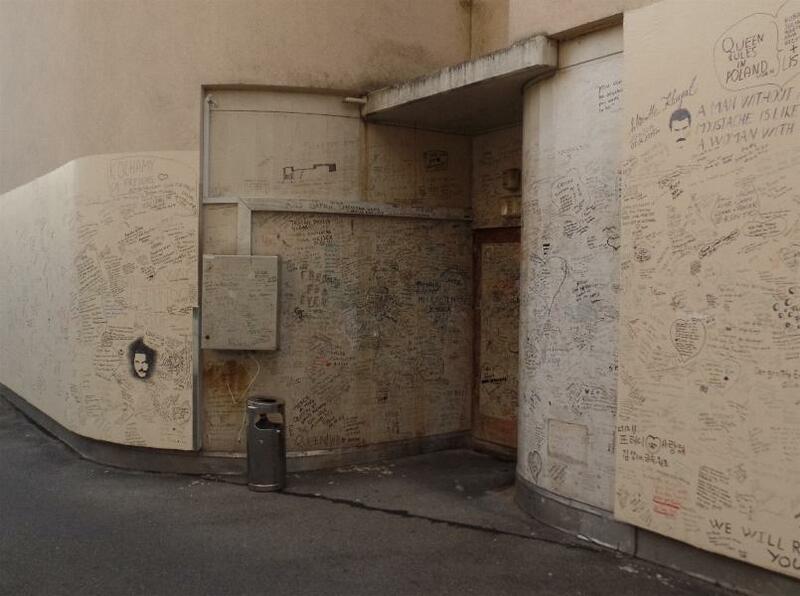 Outside the casino, on the left hand side of the building, is the Freddie Tribute wall, which features fan writing and artwork, around the original entrance to the studio. 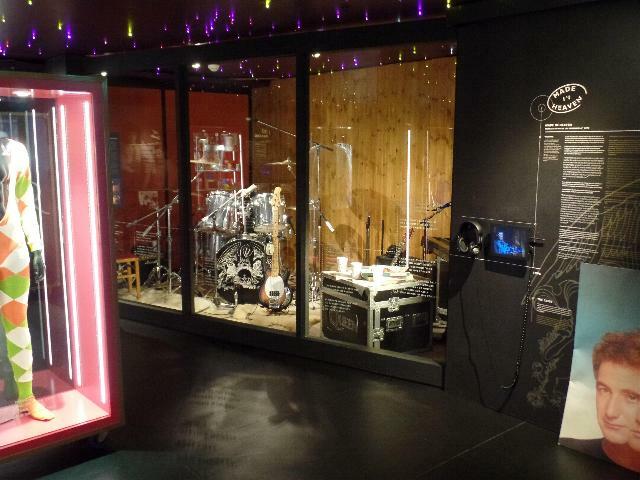 Once inside, the exhibition includes 8 display cabinets around the edge of the room, featuring memorabilia from throughout the band's career, with the emphasis on the albums recorded in Montreux. Six of the cabinets are for 'Jazz', 'Live Killers' and 'Hot Space', 'A Kind Of Magic' and 'The Miracle', 'Innuendo', 'Made In Heaven' and live releases. 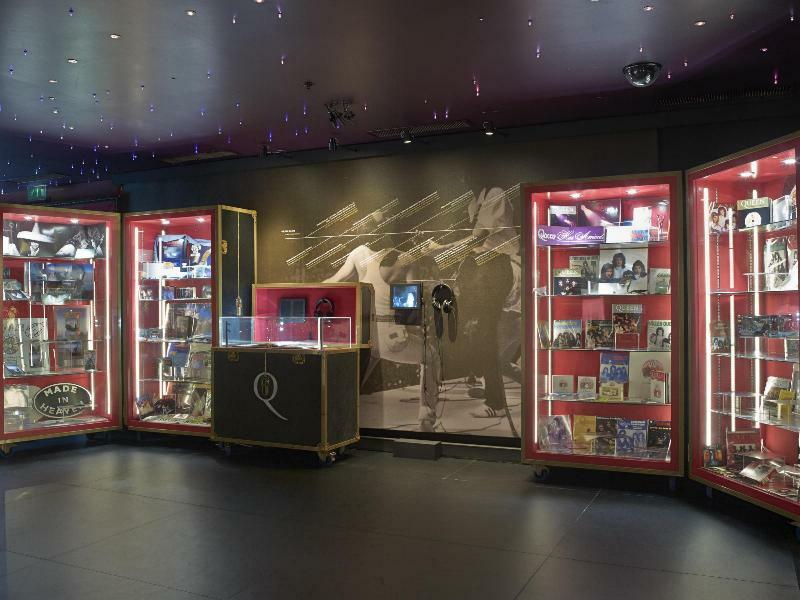 The remaining two cabinets have varied; originally, they featured memorabilia for the albums not recorded in Montreux, one for 'Queen', 'Queen II', 'Sheer Heart Attack' and 'A Night At The Opera', while the second featured 'A Day At The Races', 'News Of The World', 'The Game', 'Flash Gordon' and 'The Works'. 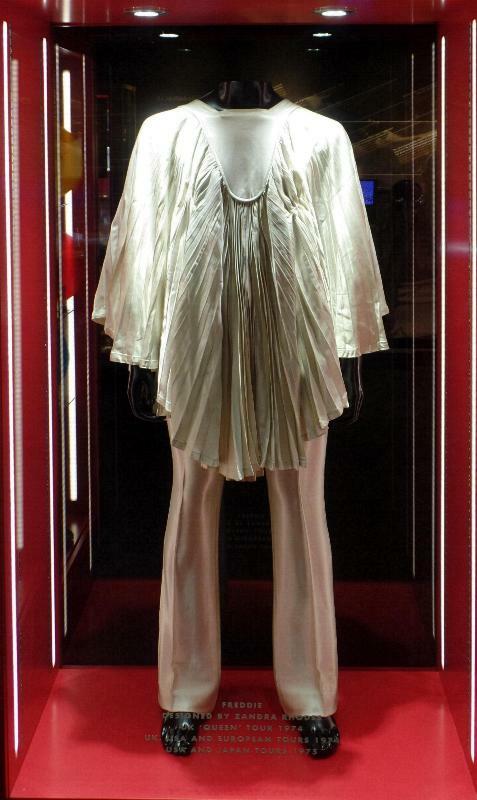 When I visited in 2015, they had been replaced, with one for 'Bohemian Rhapsody', and one for the 'A Night At The Opera' tour, to mark their 40th anniversary. 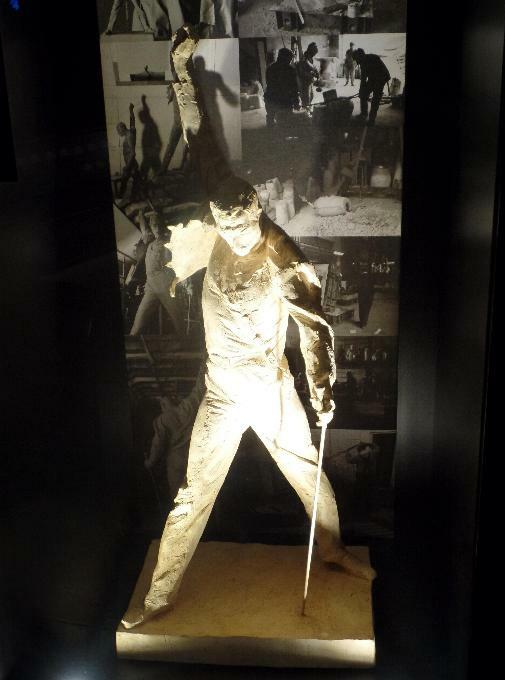 In 2016 they had been replaced again, with memorabilia to mark Freddie's 70th birthday, which included various album and single early artwork designs. 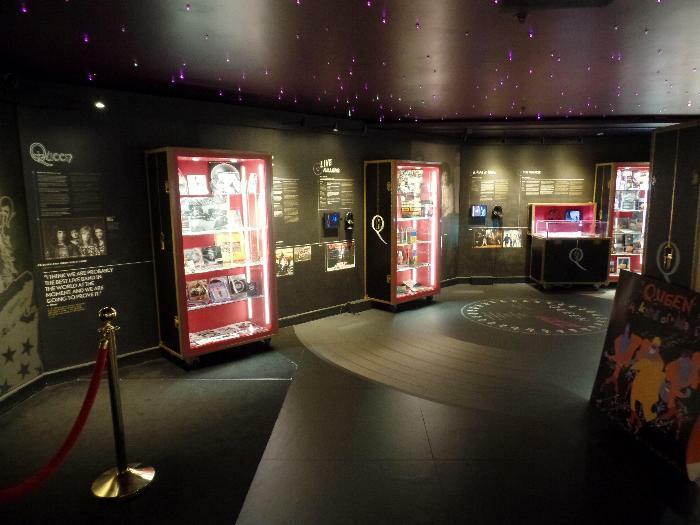 Each cabinet features albums, singles and videos from around the world, promotional items, tour programmes, backstage passes, clothing, and awards, the majority coming from the Brian May Archive. 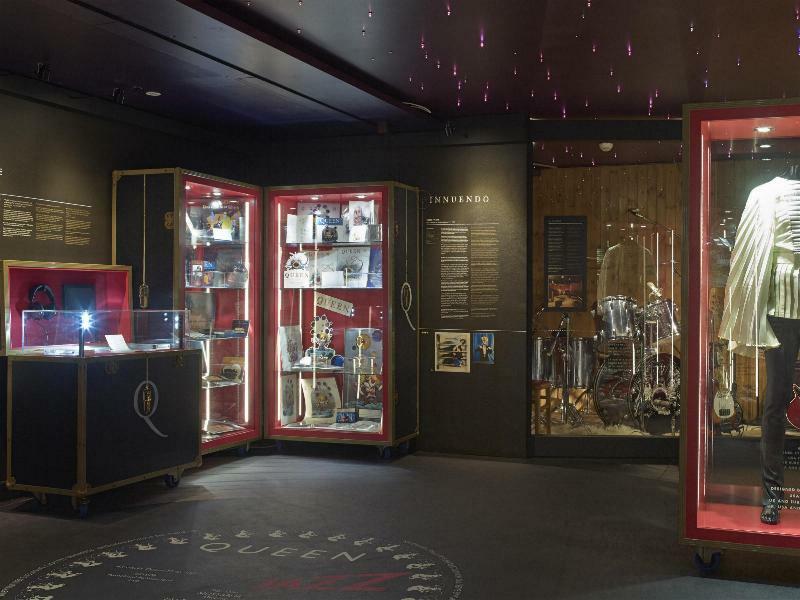 There are two additional smaller cabinets, which feature handwritten lyrics to 'One Vision', and photographs of Freddie's home in Montreux. 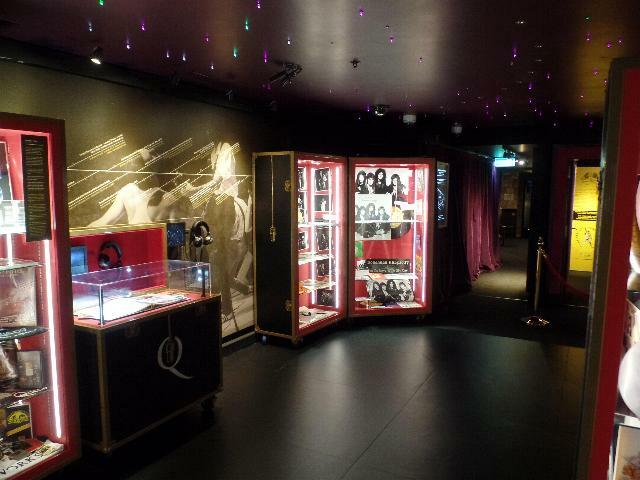 Alongside many of the cabinets, there are small monitors with headphones which play the promo videos for 'Bohemian Rhapsody', 'Love Of My Life (live version)', 'One Vision (extended version)', 'Too Much Love Will Kill You' and 'A Winter's Tale', plus clips from 'Highlander'. 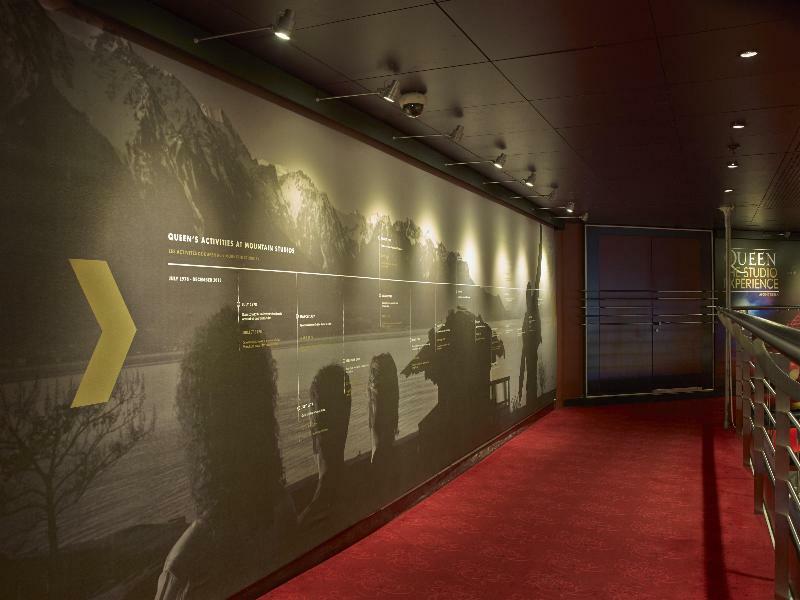 In one corner, there is another room featuring a Queen Cinema, which features an 18 minute film about the studios and Freddie's illness, using interviews from other documentaries, mostly from 'Days Of Our Lives'. 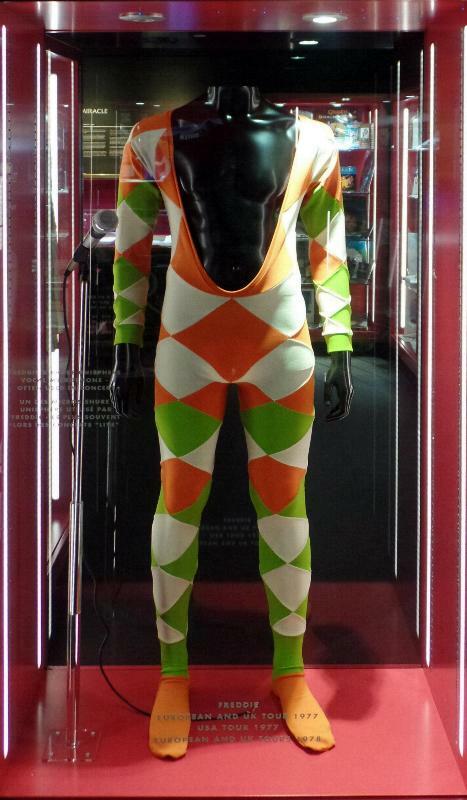 In the centre of the room, there are four cabinets with mannequins modelling stage costumes, namely Brian from 1974-5 and Freddie from 1974-1975, 1977-8, and 1984-5. 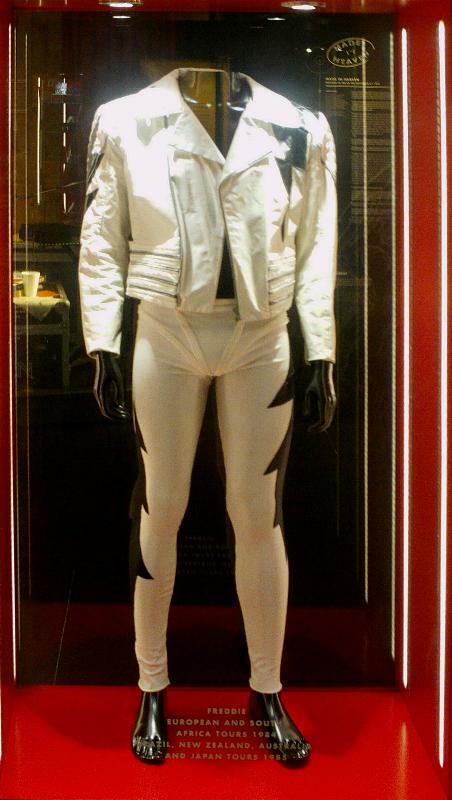 In 2015, Freddie's 1984/5 costume had been moved to outside the exhbition's entrance, and replaced by a cabinet showcasing 'The Studio Collection' boxed set of coloured vinyls. 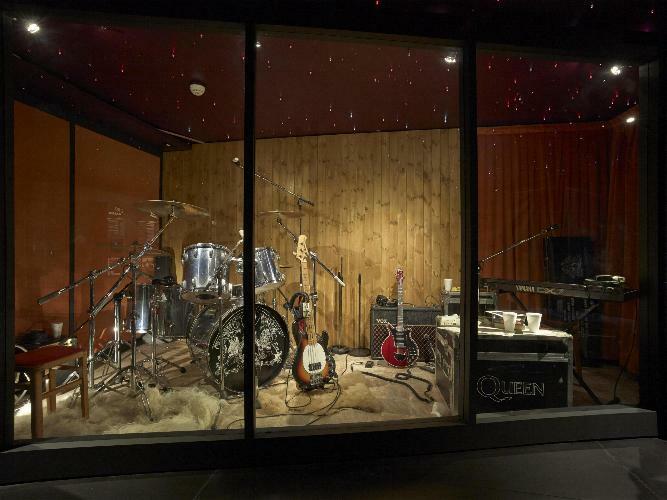 At the back of the room, behind a glass partition, is a recreation of a Queen recording studio, which features Roger's Ludwig drum kit, which he used at numerous shows including Live Aid, a Brian May Guild guitar and VOX AC30 amplifier, John's 'Music Man' Stingray bass guitar, and Freddie's Shure SM85 microphone. 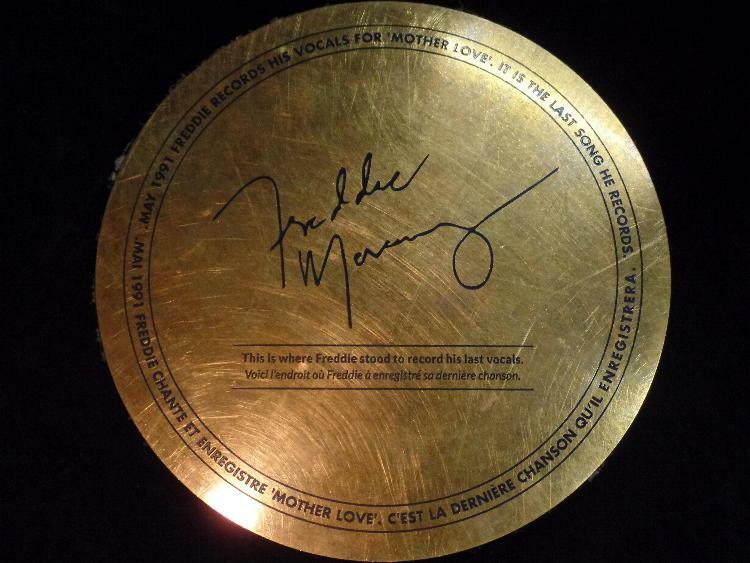 The final feature is a recreation of the control room, which includes a plaque marking the spot where Freddie sang his last vocals, for 'Mother Love', a miniature statue of Freddie, handwritten lyrics to 'Mother Love' and 'A Winter's Tale', tape machines, and other equipment. 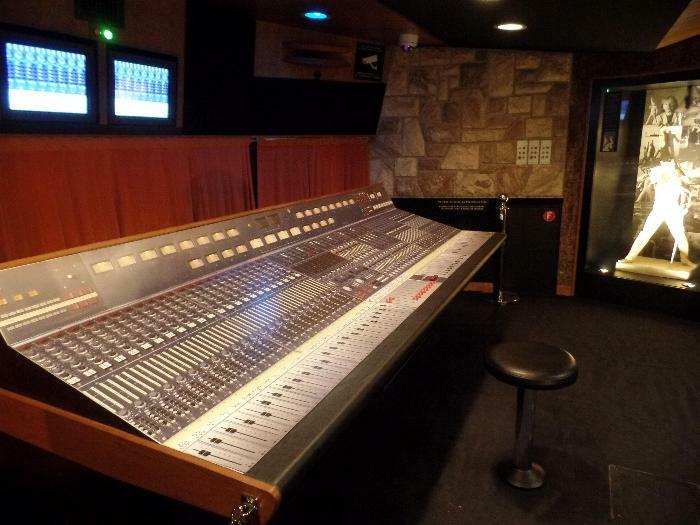 The main attraction is a mixing desk, which allows you to play four tracks. 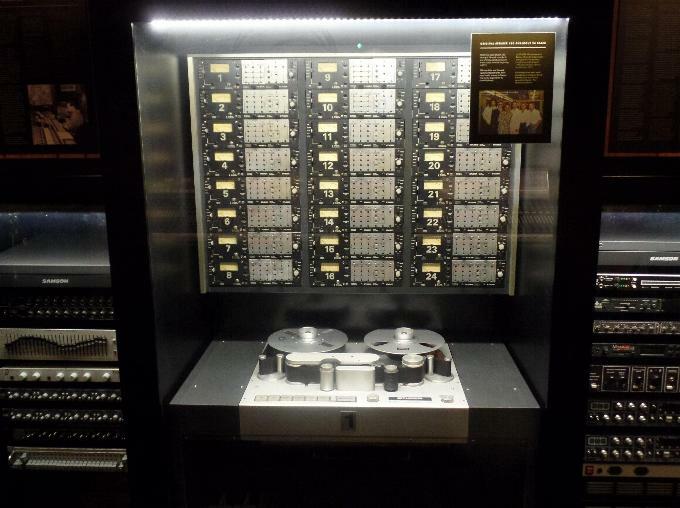 The first two tracks, 'Made In Heaven' and 'Mother Love', featuring introductions from Roger and Brian respectively, play elements from the original tapes, and allow you to change the relative volume of each element of the song, using ten different mixers. The third track is 'Bicycle Race', with an introduction by Brian, which is played in surround sound, with the original promo video and the 'Greatest Video Hits' promo video shown side by side on two monitors in front of the desk. The final track is 'The Invisible Man', with an introduction by Roger, which is also played in surround sound, and features the original promo video on one screen, and out-takes from the promo video on the other. The main room plays a selection of Queen tracks, which fade out when the control room mixing desk is in use. Due to the lighting in the room, some of the photographs are quite blurry or have reflections, so I apologise for the quality.